Changes are coming to the way property is shown in SW Florida. Gone are the days where agents call the listing office to setup showing appointments. This was an inefficient system as agents had to make phone calls to listing office, who had to in turn call seller, then call showing agent back to confirm. If one seller wasn’t available it could throw the whole showing schedule into chaos and start the process all over. 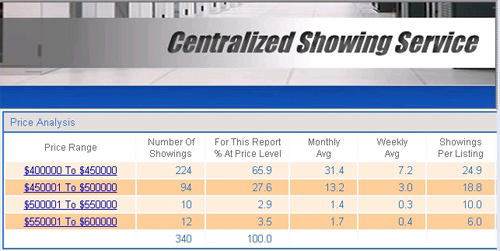 The way properties will be shown is changing for the better as the MLS has now gone to a Centralized Showing Service. Technically offices can still setup showings the old fashioned way, but once they see how the new system works they’ll quickly learn their sellers will be at a big disadvantage so they’ll want to join in the new system. When agents view properties online in the MLS there is a button they can click on that will automatically setup the showing for them. If the agent sees 7 homes that meet their buyer’s needs, they simply select those 7 homes and request showings at a set time interval, i.e., tomorrow from 2-4 pm. They system will contact each owner and notify the showing agents which appointments are set along with a showing map for the route. Since this will be automated sellers need to understand the new rules of showing real estate. Actually they’re old rules but with the new system it’s even more important. The more accessible a property is, the more it will get shown if it’s priced correctly. If the sellers reject showings as inconvenient, the showing agent will simply just show the homes they have approvals on. The rejected showings will miss out unless the buyer doesn’t like one of the other 6 homes. With limited inventory, buyers are hesitant to wait, so they offer on one they’ve seen that meets their needs and is priced correctly. The new system will handle alarm codes, gates codes, special instructions like handling of pets, etc. There’s even an app for the agent’s phone that will remind them not to let cat out or why a bedroom door is closed. Sellers will have the option of receiving a tele-call where they can hit 1 for accept the showing or 2 for reject. Or, they can receive texts where they can accept or reject, or an email, or all 3. Once the seller accepts the showing agent is instantly notified, so setting up showings can take just a few minutes versus chasing listing brokers and sellers down for hours. Weekends were especially hairy if the listing office didn’t have personnel to handle showings. The system has some interesting features. It can tell an agent which price range is receiving the most showings. This can be helpful in setting the correct price for a home if the home is on the edge of a price bracket. The system also contacts showing agents for feedback and generates a nice report for our sellers. Tracking agents down for feedback used to be difficult but now the system will do it automatically and makes it easy on the showing agent to respond. We look forward to sharing with our sellers the new seller reports, showing reports, and market statistics we’ll generate on showings. We can compare this to sold and pending data and spot trends as they develop. If the market takes a turn, we’ll be able to see if other similarly priced homes are getting showings. This new service is a win/win for sellers and agents. Knowing the new rules and how to work the system can mean the difference between selling or watching all the homes around you sell while your home sits. Take the time to learn the system and make your home accessible. Good Luck and Happy Showing! Posted in Cape Coral, Cape Coral Real Estate, Fort Myers, Fort Myers Real Estate, Southwest Florida Real Estate.Tagged 7910 Summerlin Lakes Dr, Ellis Team, RE/MAX realty Group, SW Florida Real Estate Market Update, Way property is shown in SW Florida.